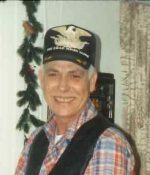 Remembering Billy W. James | Remembering Billy W. James | De Soto Obituary Search | Dietrich-Mothershead Funeral Home, Inc. Remembering Billy W. James | De Soto Obituary Search | Dietrich-Mothershead Funeral Home, Inc.
Visitation: Thursday, August 2, 2018 from 5:00PM until 8:00PM. Funeral Service: Friday August 3, 2018 at 11:00AM from the chapel of the Dietrich-Mothershead Funeral Home. Interment: Woodlawn Cemetery, De Soto. Billy Wayne “Jake” James was born in Senath on July 6, 1943 a son to Verla Marie James. He died at his Festus home on July 31, 2018 at the age of 75. Billy’s mother died when he was a small child and he was raised by his grandmother Selley Pulliam. He retired from the General Motors Assembly plant in Wentzville. He was a member of UAW #2250. 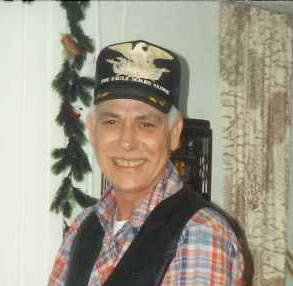 He enjoyed playing guitar, being self taught, listening to country and bluegrass music and was a skilled woodworker. He was an avid St. Louis Cardinals fan. He is survived by his wife Anita L. (nee Thebeau) James, Festus; one daughter: Robin (Keith) Helms, Rockford, IL; one son: Roger James, Yulee, FL; five grandchildren: Ryan Helms, Connor (Emily) Helms, Kelsey Helms, Kayley Helms, and Ashlynne James; one great-granddaughter: Adelyn Brock; and two sisters: Helen Regeon and Annadell Thorne; and two sisters-in-law: Carol Pulliam and Irene Pulliam. He is preceded in death by his mother: Verla Marie James; father Curb Pulliam, grandparents: Enoch James and Selley Pulliam, one son: Ricky Wayne James, four sisters: Dorothy McIntyre, Ruby Burns, Eula Cook, Beulah Pulliam and six brothers: Jim James, Roy James, J.C. Pulliam, Cecil Pulliam, Carl Pulliam, and Arnold Pulliam. John Piet, Pastor of the Lighthouse Baptist Church will officiate the funeral service.